June 28, 2016, 11:18 a.m.
By Ken Doctor @kdoctor June 28, 2016, 11:18 a.m.
John Ridding lives in luxury — or at least nearby. The CEO of the Financial Times serves a readership with enviable pocketbooks and portfolios; on average, FT subscribers say they have household incomes of more than $200,000 per year, with net worth averaging almost $900,000. Thirteen percent of them count themselves as pound millionaires. And that puts Ridding, the one-time working journalist, in, or near, the lap of luxury. At the end of May, Ridding spoke in San Francisco at one of the FT’s signature Business of Luxury events, bringing together stalwarts in the fancy trades from such companies as Tiffany’s, Tesla and Moda Operandi. The FT, like The Wall Street Journal and The New York Times, works the luxe crowd well. Luxury, Ridding told me as I interviewed him as the event closed, now brings in about 30 percent of FT ad revenue. The paper has never been bashful about advising its readership on consumerism — a long-time feature section is entitled How to Spend It. But how to use luxury advertising to help build the storied brand’s journalistic future has been much on Ridding’s mind for years. Just a couple of weeks ago, the FT bought a majority of Alpha Grid, a London-based branded content company — a major indication of its expanded investment in an area that is growing 30 percent a year. In the past year, he secured a new future for the publication founded in 1888. 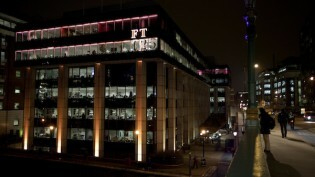 Shocking media observers, Ridding and his cohorts orchestrated a sale of the FT to Nikkei, the FT (or Journal) of Japan. Nikkei’s name hadn’t come up in the runup speculation to parent company Pearson’s sale of its one-of-a-kind asset. As executives at Axel Springer, the apparent leading bidder, awaited final confirmation that they’d finally won their English-language prize, Nikkei emerged in the final hours as the winner. 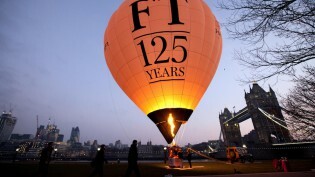 And it paid dearly for the honor: $1.3 billion, or some 35 times the FT’s annual profits. That price blew away conventional wisdom, given the current “newspaper” property marketplace. 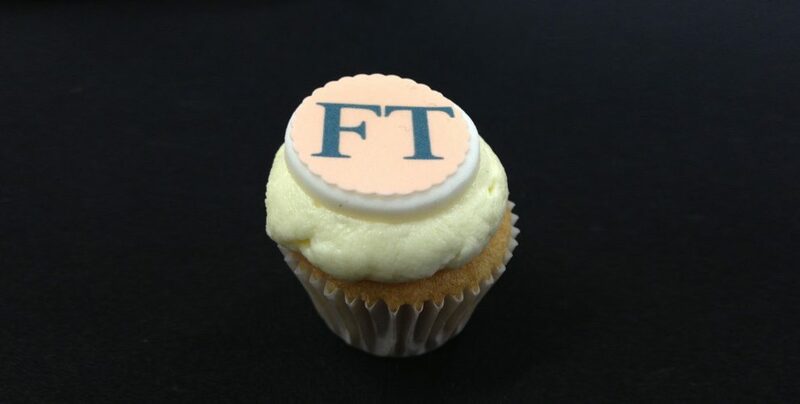 Then again, the Financial Times is indeed one of a kind, a true global business news leader. And over the past decade, it’s earned its singular place, building on year after year of innovation, even as the overall toughness of the newspaper business still pushes it to adopt austerity measures. The company now can rightly claim to be more digital than print. I’ve often pointed to the FT as an exemplar of how high-quality journalism is making the transition into the new age, but I’ve been equally impressed by how hard the journey is, even for the exemplar. I’ve talked to Ridding and other FT executives over the years about the company’s investments in data science, in consultative selling, and in paywall innovation. In San Francisco, our conversation, edited down here, centered on the FT’s latest digital subscriber innovations, in “trialing,” on the value of reader revenue crossover and how to deal with the emergent power of platforms aiming to be the first stop for news readers. Doctor: So we’re here at the FT Business of Luxury Summit. How many of these do you do now? Ridding: This is the tenth. Corporate events are at growing at double-digit rates. It’s interesting because I think it’s the flip side of the whole digital evolution: Business people like to network. They like that physical engagement. When we started this thing, the first one was in Shanghai. iPhones didn’t exist, and Facebook was three months old. We are all kind of leaving that disruption and charting courses through it. We had a presentation yesterday by James Curleigh, the head of Levi’s. It was a fantastic presentation. There were common themes across industries. The nice thing about disruption is that it brings a lot of businesses closer together. Because we are all thinking about different details, but about the same big themes. Engaging with audience through digital channels, if it is marketing, social media — there are a lot of common themes now, more than when businesses were more in the silos. Doctor: What’s your biggest takeaway about that commonality? Ridding: Particularly for luxury brands, you can just play defense — hunker down and focus just on the traditional craft and hope it [disruptive competitors] all goes away. It won’t. A much better response is, well, how do we harness the opportunities through these new technologies while holding on to the traditional brand values? It’s kind of a different take on the FT strategy: What’s the eternal constant value? What’s the differentiating element in your proposition and brand? How do you then make sure you’re on top of all of the opportunities through digital, etc., and data in particular. 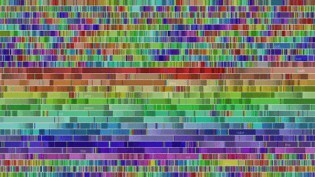 There is a physical, there is a digital, but there are quite a few connections. Doctor: If you go back to that pre-iPhone time, is luxury a higher percentage of your advertising today in your revenue than it was? Have you actually benefited from the disruption in terms of luxury? Ridding: The answer is yes. Luxury now makes up 30 percent of all our advertising. We’ve always had an affluent readership, so that’s for granted. It’s one of the advertising areas that’s held up, been very resilient — big brand display. There are two bits of advertising that have really held up well: global advertising and high-end glossy, which you can’t replicate in the same way online. Doctor: Those legacy print dollars and pounds are great, but it’s the digital crossover I’ve noted that really distinguishes your transformation. Given your success with enterprise B2B corporate subscriptions, you are now taking in more digital money than print. You are in a prized group — majority digital. Ridding: Yes, more than 50 percent. It’s a very interesting time to talk because, just in the past quarter, we’ve reached and passed a number of tipping points about the business model. In April, digital revenues matched print revenues, which is a big deal. Digital content is our biggest revenue line and actually has been for the past year. Content revenue is now quite significantly bigger than the ad revenues. Three quarters of our subscriptions are now digital. Doctor: By volume or money? Ridding: That’s by volume. Actually the money is pretty similar, because there is not a whole lot of difference in our pricing. Doctor: Since the FT is now in that select group that takes in more money from readers than advertisers, does that give you any comfort these days? Ridding: Our belief is that the real growth engines are digital content, B2C and B2B. They’re growing at double-digit rates. That gives us a lot of confidence through this phase of increased disruption. We are going through another of those moments with advertising. Doctor: Let’s talk about advertising in a few minutes. First, let’s talk about your move from a metered paywall to trialing. Last year, you moved to a trial model, and you’ve said it works better than metering, which you essentially invented. That metered model has caught on strongly all over the world, particularly in the U.S.
How should all these other publishers take your move to trialing? You established your paywall early, around 2001, and as I recall it was 2007 when you introduced the meter, which The New York Times adopted four years later. Did you have to go through metering first? What would you urge them to think about given your wider experience? Ridding: I think the one word I would put out there would be habit, because why we did it was ultimately about recreating the connection and the habit that people used to have in the print world. You get on the train in the morning and read the paper. 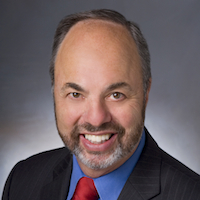 Doctor: What’s the psychological difference between metering and trialing? Ridding: With the metered model, it’s very hard to build a habit when you’re rationing. The thought was: Actually, we want everybody to read as much FT journalism as possible, and to reconnect with our journalism and our brand. We want to have a relationship with them and we can market to them. Doctor: So you’re sticking with the trial. What can you tell us about the results? Ridding: We’re now selling 1,500 new net subscriptions [with cancellations subtracted] a week. That’s almost double what we got with metering. Doctor: That’s impressive. I know your recent results show that digital subscriptions grew 12 percent to 566,000 and that you were able to claim a 7 percent increase to 793,000 in total [print plus digital] circulation. Do you wish you had done trialing earlier? Were you essentially leaving subscribers on the table — even though you had had the best model out there? Ridding: [Metering] did its job very well for a while. Certainly it got us moving pretty quickly and pretty effectively. I suppose the logical given is that it’s going better with this model, so that might have made sense. Doctor: Certainly, there’s no blaming you for the course you’ve taken, but it’s a real question for those publishers. What should they do now? Should they consider trialing? Ridding: I don’t see any reason why not. There are some technical things that need to happen, but it’s fairly doable, and I think we did a good job with it. I don’t want to claim we invented the concept of trials; other industries have used them for a period of time. I think the insight or the point is that it’s about the habit and the relationship. Doctor: You noted that “moment” in advertising, as we’ve seen deeper turndown in print advertising worldwide and Google and Facebook ascendant in digital ad share. It seems like [content-marketing offering] FT2 is your big bet on digital advertising? Ridding: Yes, branded content sales are up 30 percent and we’ve seen double the number of projects booked versus 2015. We are seeing an awful lot of demand and success with the current offering. There’s a number of ways in which we can develop it. That will be driven by data and the quality of the brand and increasing video. Just that’s what a lot of the clients want. Doctor: I know that what you’ve learned there has been rooted in data, as you’ve also been a leader in that area. Let’s move to an area where the data is sparser: the rise of the platforms. 2015 and 2016 have been the years of the platform. Facebook, Apple, and others aren’t trying to cause any more damage to this business, but it’s really not their concern. They are each saying: Well, I want more minutes on my platform and I’ll monetize it. Really simple to understand. The FT early on took a stand when you stayed out of the initial Apple Newsstand and emphasized your own direct experience. Now, I know you are doing a special program with Facebook, Facebook at Work. You are playing with DNI, which is I think smart, but it’s a bet after all. This is certainly a new time of reckoning. I wonder how you are steering your course. Ridding: It’s the single biggest issue I think. What is that expression — “splendid isolation”? I think isolation is stupid. You can’t be isolated. It isn’t just strategic — it’s also tactical: You have to manage the ecosystem that is evolving in very complex ways incredibly quickly. I think a big part of any news organization is actually thinking about the ecosystem and how to position oneself, in a pragmatic way, but also in its key principles. That’s what we’re doing. It’s funny — I’ve actually talked to some folks in the news industry who think it’s almost doctrinal. Sort of “big platform is bad, news guys are good.” Well the reality is, they’re there. They probably aren’t going away anytime soon. But more importantly, if you think through and engage constructively, then there are ways of aligning interests and actually creating significant opportunities. Now, one can think about some of these platforms as the biggest marketing opportunity in history. ‘Thought through and engaged with properly” is this big opportunity. There is obviously a big risk, and you can’t be disintermediated. I call that a core principle, our north star as we navigate. Doctor: How do you stick that principle? Ridding: We basically say: There are certain quite detailed data requirements we have if we are going to build a deeper relationship around putting content on your platforms. One of the ways we are thinking about it is to think about different kinds of content in different ways. We have been putting more material out there on these platforms for free, and we’ve got video out there for free because that’s where building. Our business model, as you know, is reach and return, so we need to have a lot of reach on top of the funnel and we need to be quite disciplined at the bottom end of the funnel — the subscription and the business end. Doctor: Is there a lot of FT video out there? Ridding: Yeah. It’s been great, and it’s really driven the brand. The most widely consumed piece of journalism in the FT this year was a series on the Chinese economy, which was partly filmed with drones. They gave some incredible visuals of the industrial landscape and real estate challenges in China. I think that when we looked at the numbers, it had 1.25 million minutes of viewing. The really interesting stuff for me is, the average viewing time for that is 9 minutes. Doctor: That’s an eternity online. Ridding: It’s a movie. Video is out there, and also we are positioning. We are doing a handful of articles everyday to readers on Instant Articles and on app. Doctor: Instant Articles — about how many articles you put out there? Ridding: About six a day I think. [Six FT news articles per day and six How to Spend It articles.] Yeah. We are experimenting, that’s the key thing. What is also clear is that we’ve had a huge growth in increasing traffic from social media, something like 80 percent year-on-year. It’s part of our reach strategy — brand awareness. That’s mostly putting general articles out there on social media — just promoting them for free, first click free. When we get to the business end of the spectrum, of the subscription end, we are very, very clear about our principles in terms of the data that we require, the subscription models. We are honest with ourselves and with partners. Advertising is not going to be the foundation of the [platform] business model for the FT. Therefore any sort of relationship development we have has to align, support, and help our subscription. Doctor: Does that mean basically authentication? Ridding: I think at some point it will, yeah. Doctor: This is a time of more competition between the platforms than we’ve ever seen. Does that create opportunity for publishers? Ridding: Completely. That’s the whole point. It gives you the opportunity. I do think there is a sort of genuine appreciation, an understanding that the readers ultimately do want quality journalism. That is a fact, so it needs to be available in a meaningful way on these platforms if they’re going to be sticky and sustainable and competitive with others. They get that; it’s increasingly apparent to everyone. I think one of the interesting things through the Google Digital News Initiative was the reality that advertising is not going to support major global newsrooms. I think they are aware that. Doctor: What do you think is the next biggest issue here? Is it authentication? It’s my understanding that Apple has been the most resistant but it’s showing signs of movement. Google is putting it into AMP and Facebook is kind of moving forward. Is that right? Ridding: Yeah, that’s my reading. Whether we get all the way to where we want to get, we’ll see. As long as we can authenticate and support our subscription business, it makes sense for us and that’s it. Doctor: It’s authenticate and get the data. I know how important that is to you and why. I guess implicit in that is a direct customer relationship. It’s okay with you if they read on any of those platforms and they don’t come to any FT sites or apps as long — as you have that relationship? Ridding: Yes. It makes me nervous. There are two reasons we are nervous. One is that, it has to align with our subscription model — whatever our model is at the moment. We see no reason why that can’t be replicated on a platform. That leads to the second point, which is brand distinction. There needs to be an understanding of the way material is presented and has brand identity. We’ve been building our brand for 128 years — it’s meaningful and it’s emotional, not just to us, to readers. What you don’t want is the brands to disappear in some kind of homogenized platform. It’s not just that we don’t want it — I think readers don’t want it. They feel the degree of loyalty. Doctor: Also we’ve got to recognize the brand halo Facebook and the other platforms get by having the FT content on it. That’s real value to them, and why they want your content so much. Ridding: Exactly. You can approach this from a sort of doctrinal, binary, black-and-white perspective. I don’t think that’s helpful, I don’t think it’s necessary, and it’s certainly not practical — and it’s not going to maximize your opportunities. Doctor: Are you satisfied with the brand identity right now on these platforms? I think there is more that needs to be done. It’s something you are working on? Ridding: Something we are talking about, yes. Phase one of talking was almost like a different language to be fair. We’ve moved beyond that. Photo of FT cupcake by Sarah Marshall used under a Creative Commons license. POSTED June 28, 2016, 11:18 a.m. Doctor, Ken. "Newsonomics: The Financial Times’ CEO on trial subscriptions, the platform age, and living in luxury." Nieman Journalism Lab. Nieman Foundation for Journalism at Harvard, 28 Jun. 2016. Web. 19 Apr. 2019. Doctor, Ken. "Newsonomics: The Financial Times’ CEO on trial subscriptions, the platform age, and living in luxury." Nieman Journalism Lab. Last modified June 28, 2016. Accessed April 19, 2019. https://www.niemanlab.org/2016/06/newsonomics-the-financial-times-ceo-on-trial-subscriptions-the-platform-age-and-living-in-luxury/.